Susannah Clark: Lauren, your essay “Minnows” appeared in r.kv.r.y.’s July ENDANGERED issue. What is the advantage of publishing in a journal with a specific theme or focus? Lauren Jo Sypniewski: I think that it has the potential to affect the writing process in really positive ways by forcing the writer to hone in on a specific theme. I know for me personally, I sometimes struggle with “what is this essay truly about” when I’m trying to force it to accomplish too much. Here, the theme of recovery opened me up to guiding the essay along the appropriate path. SC: Elaborate on the “recovery” aspect of this piece. Is there more than one kind of recovering occurring within this text? LJS: In some ways, yes. In my definition, recovery is a personal process unique to every individual, and something that doesn’t have to be restricted to mental or physical recovery from a negative source. This essay does speak to those forms of recovery, but it also speaks to a recovery from past perceptions: learning to deal with situations that are unfamiliar or uncomfortable, almost as though recovery and acceptance walk hand-in-hand through the pages of the essay. SC: The first few lines of the essay are written in the imperative, as if addressing someone specific. Are you giving instructions to a specific person or group? Did you have a particular audience in mind while writing this? LJS: While I’d like to say I know what is going on one hundred percent of the time in my writing and that I am the master of the process, there are times where the writing does its own thing. And I feel somewhere in the “unknown” within me that it fits and its right, even if I can’t quite explain it. Looking back, though, I can see those first few lines functioning as a past or future Lauren speaking to the “present” Lauren who is a character within the piece. SC: Your writing consistently indicates a strong sense of place–be it urban or rural or completely foreign. Is there a certain setting in which you find writing easier? Do you prefer to write in a landscape similar to the one you’re painting in your prose, or is it easier to conjure said place from a completely different atmosphere? LJS: Thank you! In the end, I prefer to physically write from a different atmosphere than the one I am writing about. Though it may seem illogical, I almost find it easier to work from memory than from what’s in front of me, particularly because memory is filled with perspective and emotion and nostalgia. The mood of a landscape, for me, is just as important as the physical characteristics of the scene. So working from memory, based in emotion, helps me conjure the mood alongside just the descriptors. SC: I was struck by the line: “I don’t want to be the one to talk, because I can never make words sound better than silence.” How is your relationship with writing distinct from your relationship with speech? LJS: That’s a really insightful question I’ve never considered much before. My initial reaction is the fact that writing is still silent. And so I have the ability to add to that silence without taking away from it, without just filling it with noise. It reminds me of my favorite quote by Gretel Ehrlich: “We fill space as if it were a pie shell, with things whose opacity further obstructs our ability to see what is already there.” The world is already such a chaotic, noisy, frustrating place, and silence gives us a brief moment to actually think and absorb and process. And writing within that silence gives me the ability to drop tiny words into the well of thought, and watch the ripples. SC: The ending of this piece is anticlimactic in a most wonderful way. Obviously, your grandmother’s outcome is implied, but did you consider writing about what happened next more explicitly? Why did you end where you did? LJS: This was one of the very, very few times I knew where I had to end the piece. I usually struggle with endings. I’m told often that I write four endings on top of each other, just because I need to get that last word or dramatic line in there. It was almost as though I couldn’t physically continue, as though that one line I said to my grandmother was a kind of punishment: “you couldn’t say more to her then, so you don’t have the right to say anything more now.” It was overwhelming to end the essay that way, and I wanted the reader to feel that as well, the duality of my emotions as a writer choosing to end the piece that way as well as a “character” who–though so desperate–could only say those few words. Susannah Clark is an American essayist and journalist currently living in Northern India. Her work has appeared inPopmatters, Extract(s), BDCWire, andInside Higher Ed. 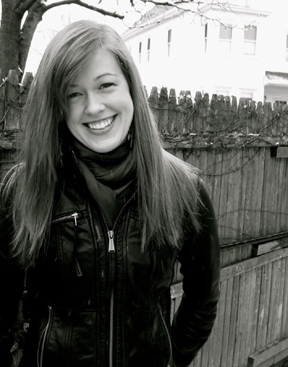 Lauren Jo Sypniewski grew up in woodsy and earthy Northern Michigan before moving to Boston to obtain her MFA in Creative Writing from Emerson College. Since then, she’s wound around the world searching Australia for new words, new moments, and new concepts of place and space: ideas often grappled with throughout her writing. She now lives in Southern Utah, where she teaches writing. Her essays and poetry have appeared in The American Council for Polish Cultural Heritage, Discovering Arguments, and the Pine River Anthology.